The 13th Amendment to the Constitution of the United States was proposed on January 31, 1865 and ratified on December 6, 1865. The long-sought abolition of slavery is among the shortest worded amendments. It states in the first sentence of the first section: Neither slavery nor involuntary servitude…shall exist within the United States. 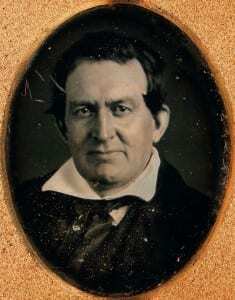 Prominent abolitionist Gerrit Smith’s annual public birthday observance will be held Saturday, March 2 at 1 pm at the Smithfield Community Center. The program this year will address Gerrit Smith’s reform mentoring of Elizabeth Cady Stanton with particular attention to his introduction of Cady to Harriet Powell, a fugitive slave case illuminated in Possessing Harriet, a new play by Kyle Bass which opened at Syracuse State in the fall of 2018. The Smithfield Community Association will provide a workshop during Preservation Month at the National Historic Landmark. The 1 to 5 pm session on Saturday May 11th will focus on windows and exterior maintenance. Sunday, July 14, Norman K. Dann PhD will provide a guided exploration of the Gerrit Smith Estate describing the parts of the estate that tell the story of Dann’s publication When We Get to Heaven. Included will be accounts of enslaved Americans who came to Peterboro on their way to Canada, who stayed in Peterboro, who came to work in the antislavery movement, and those who attended the Manual Labor School. The trail to Heaven will conclude at the National Abolition Hall of Fame and Museum, the site of the inaugural meeting of the New York State Antislavery Society. On Saturday, August 3, the 10th Annual Emancipation Day at the Smith estate will include the usual morning commemoration and history of Emancipation Days held in Peterboro generations ago, as well as wreath laying on graves marked Born a slave. Died a free (wo)man at the Peterboro cemetery. The afternoon will celebrate three woman of color connected to the Estate: The Three Harriets: Powell, Russell, and Tubman. Saturday, October 26, the National Abolition Hall of Fame and Museum will address the moral conviction to end racism portion of its mission statement with programs provided by the NAHOF Ongoing Abolition Committee. December 31st Retired Naval Commander Owen Corpin and NAHOF Cabinet members will organize the commemoration of Watch Night 1863 when the nation waited through the night for the Emancipation Proclamation release the next day. Both organizations will be co-hosting the Social Justice Heritage Center at the 2019 NYS Fair August 21 – Sept 2, as well as the National Park Service Network to Freedom annual event at the new Niagara Falls Underground Railroad Heritage Center September 11 – 14. Gerrit Smith Estate National Historic Landmark is located at 5304 Oxbow Road and the National Abolition Hall of Fame and Museum is located at 5255 Pleasant Valley Road. For direct updates, details, and announcements, leave name and email at (315) 280-8828 or at nahofm1835@gmail.com. Portrait of Gerrit Smith of Peterboro.